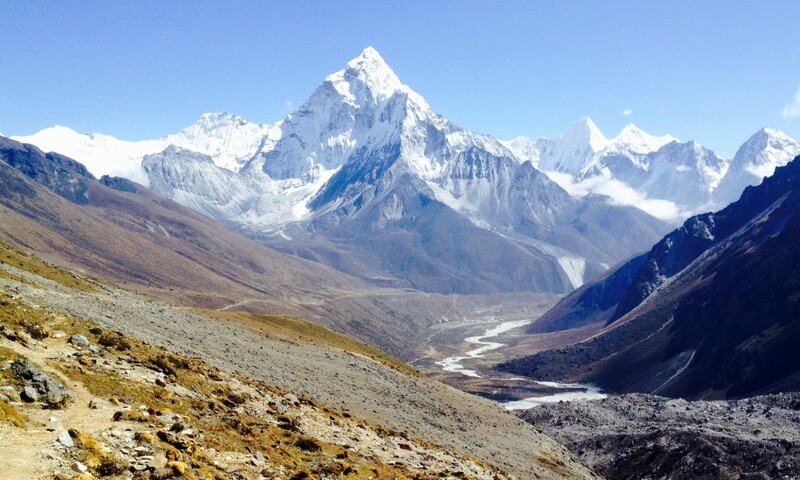 The Everest Base Camp Trek via three challenging passes is one ultimate experience. 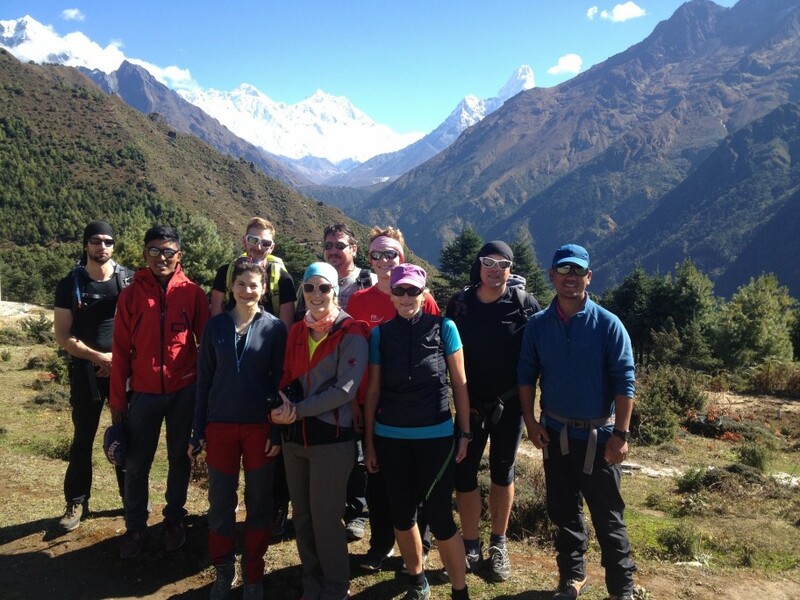 The route of the trail here is more challenging and longer compared to other base camp treks. 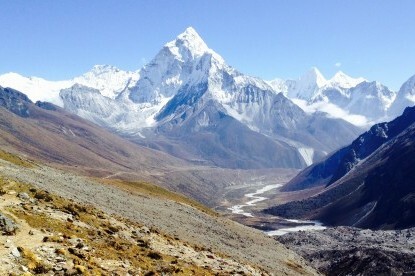 This is because the trail will take you through three difficult high passes that are not even mentioned on the standard Everest trail. 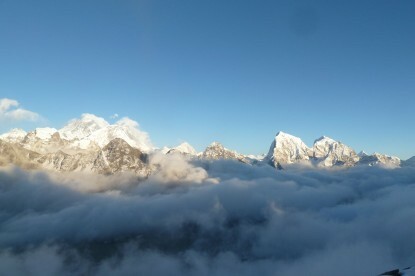 The name of the three passes is the Renjo La Pass, the Cho La Pass, and Kongma La Pass. 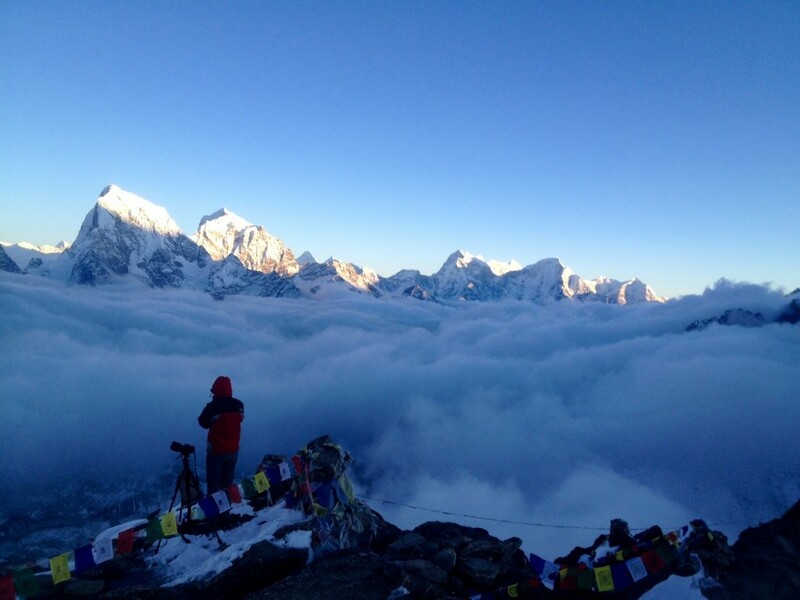 Each of these passes shares an altitude that ranges above 5000 m.
You will also get to ascend other three viewpoints, which are – Kala Patthar, Gokyo Ri, and the Chhukung Ri. From These viewpoints, you can get to view amazing new vistas of the Mt. 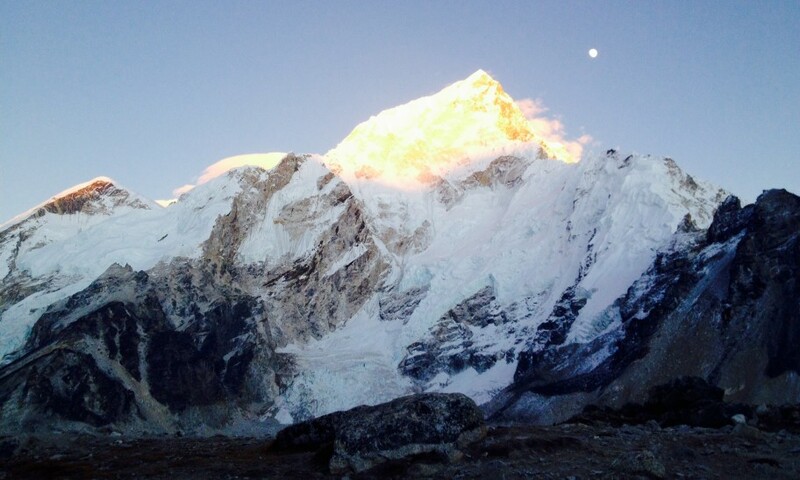 Everest Lhotse, Makalu, and Cho Oyu mountains and should be considered particularly by experienced trekkers and those who are a keen photographer. 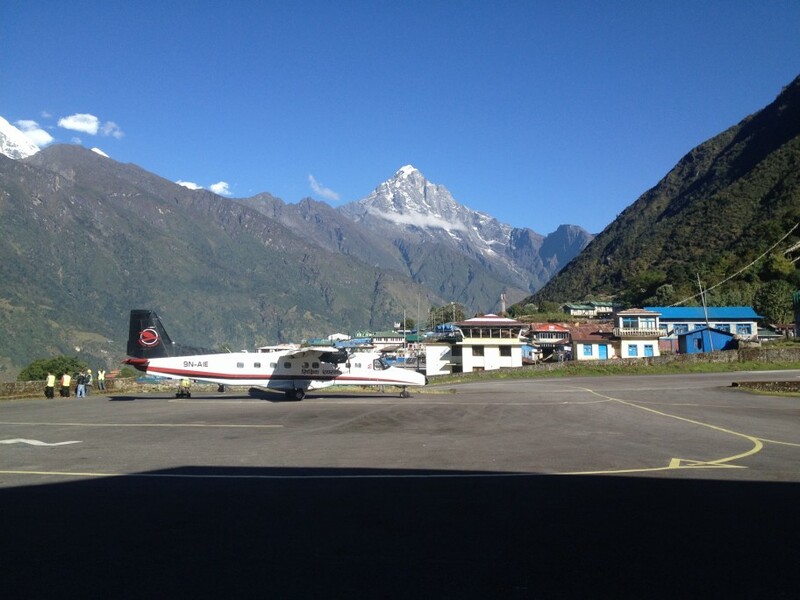 The journey will begin from Kathmandu to Lukla by a short flight. 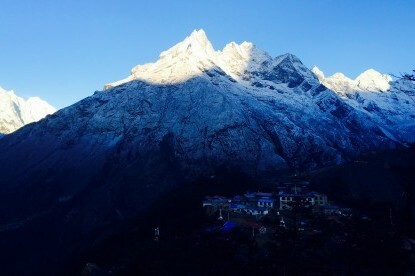 From there, you will have to go through Namche Bazaar before they are able to break the Everest Base Camp trail and head off towards the west towards Thame and Nangpa Valley, which are close to Tibetan border. The toughest journey will be via the first of the three passes. 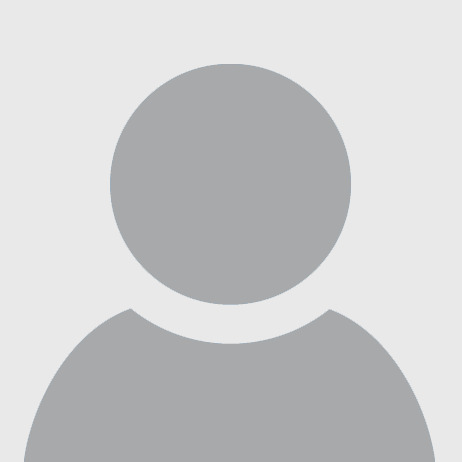 This is the Renjo La pass. 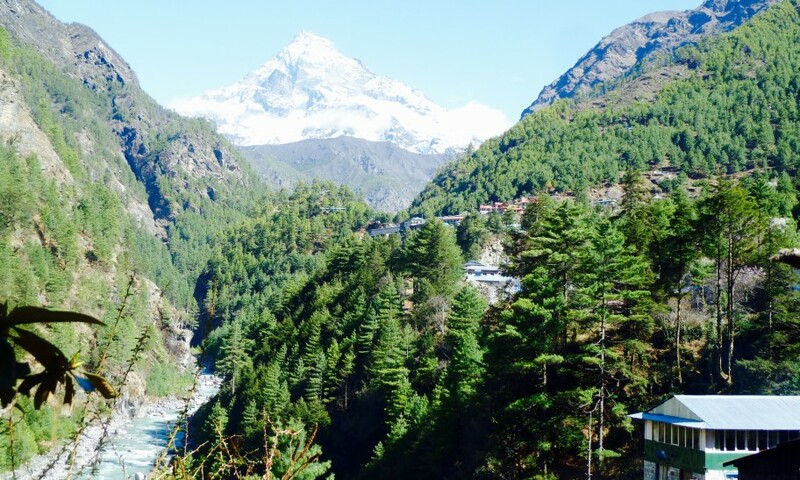 However, there are rewarding views awaiting you at the end of the journey through the pass and they are the stunning views of mountains belonging to both the East and the West. 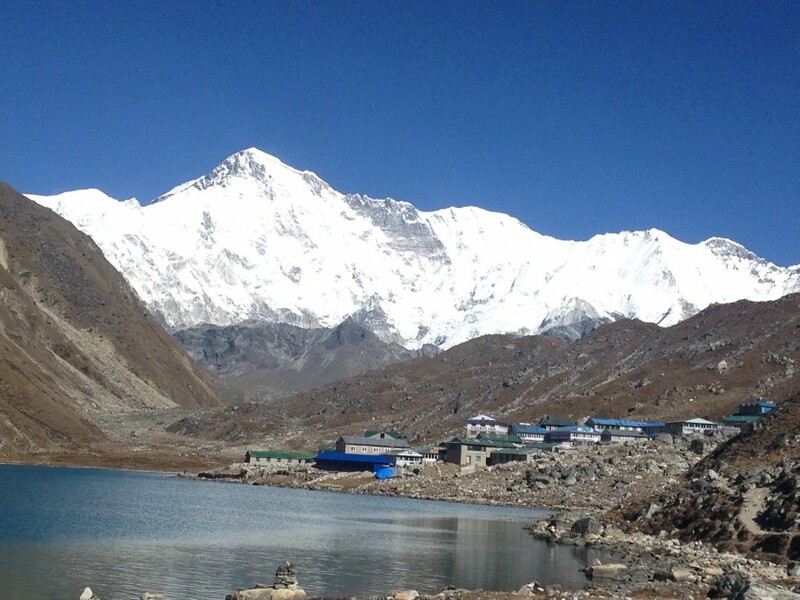 This will be followed by a leisurely descent to the Gokyo Lakes before you climb to the famous Gokyo Ri viewpoint. 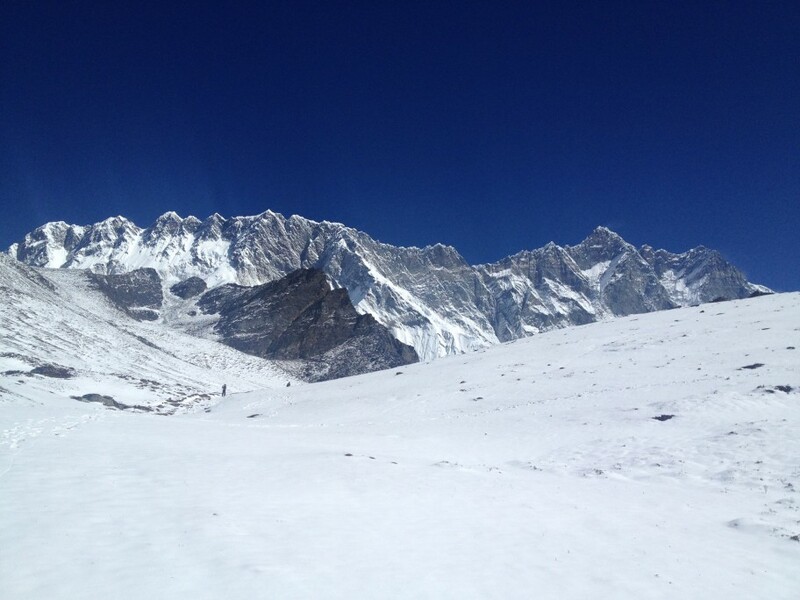 Your journey will continue over the Ngozumpa Glacier until you reach the next high pass. 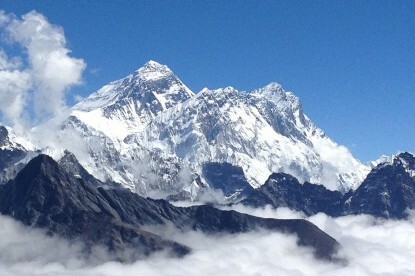 This is the Cho La pass and will involve walking up the steep scree. Your journey will be frequented by icy weather and by a small glacier, before zigzagging down to the other side. 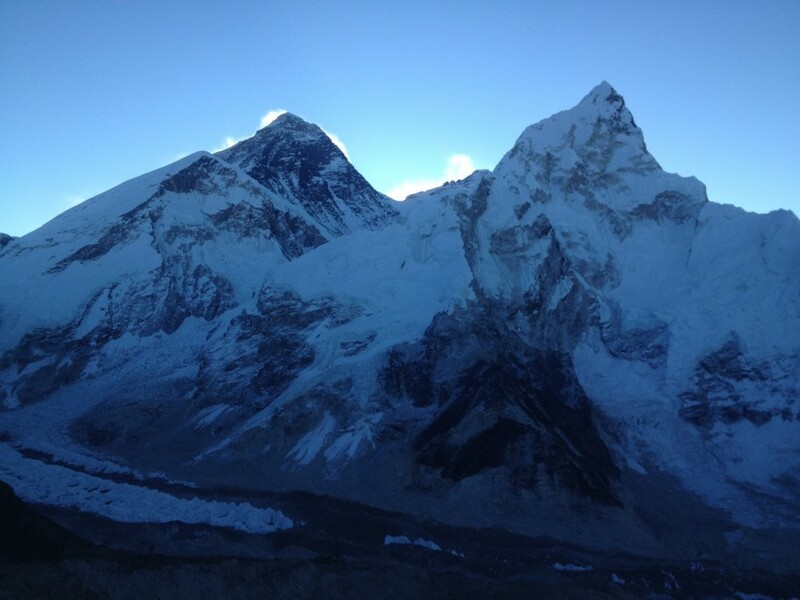 The journey will soon get connected to the main Everest trail, which will continue up the Base Camp and Kala Patthar. 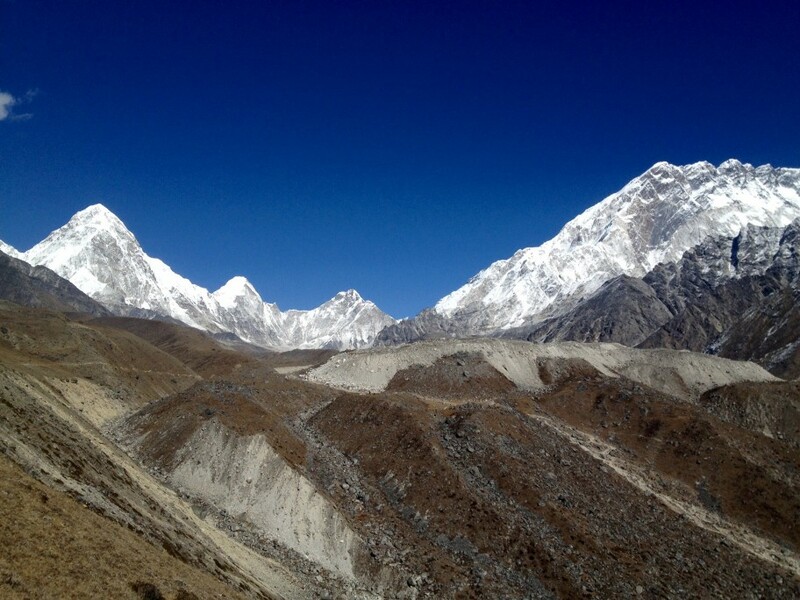 Next, you will have to descend down to the Lobuche village, before they can head over to the Kongma La pass in the East to the Chhukung. 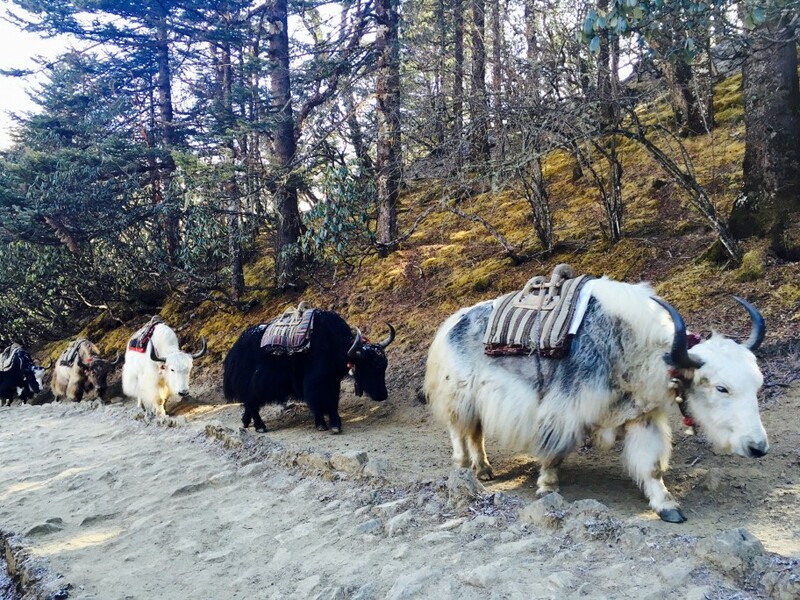 The trail takes you to the next destination, which is the Chhukung Ri – the third viewpoint of the journey. 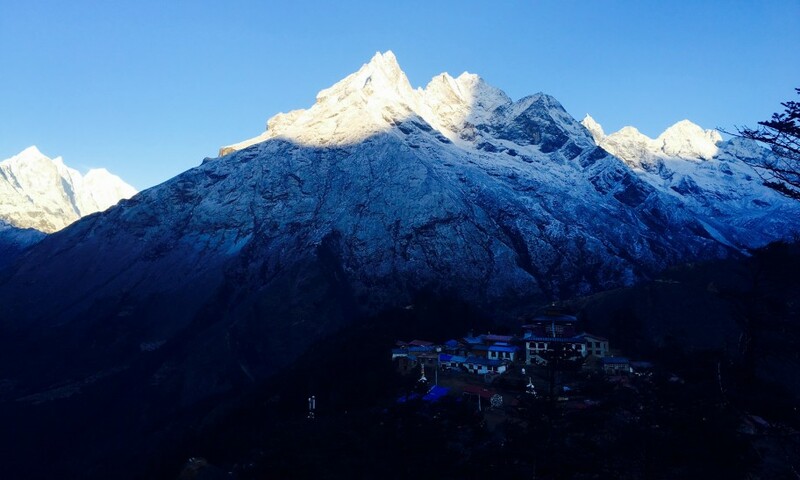 The viewpoint is situated above a village and allows you to enjoy spectacular views of the Ama Dablam, Nuptse, Lhotse, Makalu and Cho Oyu. 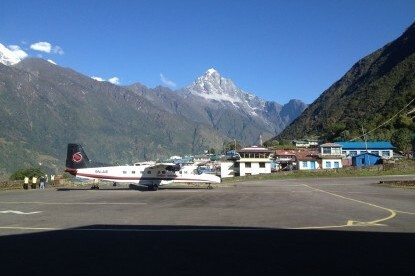 You will be completing the journey with a return trip to Lukla. 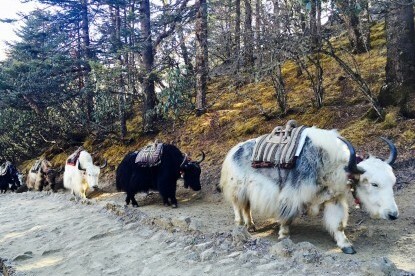 This means they will have to undertake a journey down the main Everest trail, which will take you through many Sherpa villages and its beautiful monastery. 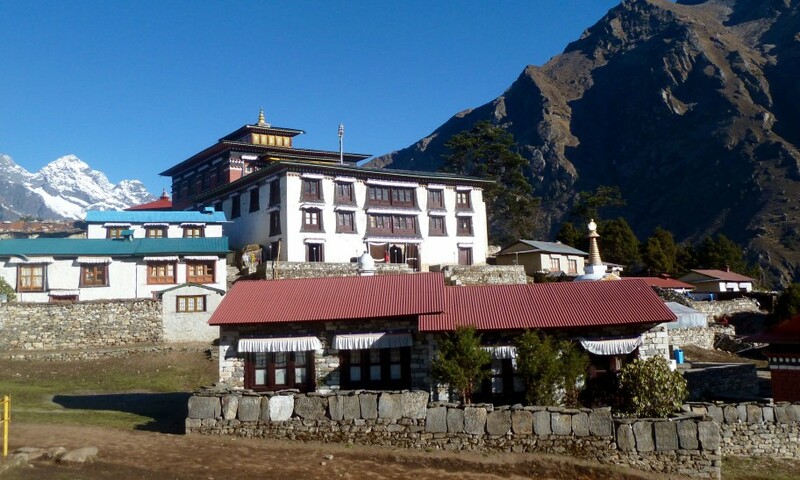 You can visit the many monasteries and have a look around to understand their rich culture and tradition. The hospitability of the people will make the trip feel very pleasant. 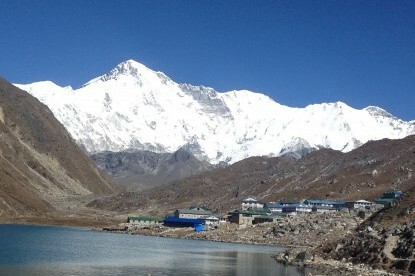 Day 14 Day hike to Kalapattar(5545m) and trek to Lobuche (4950m) 5-6 hrs walking. 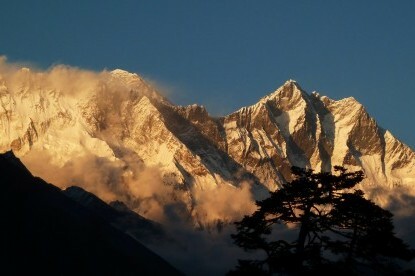 Today start climbing to view point of Kalapatthar early in the morning as the weather gets clear in the morning. The climb in the beginning is steep but soon as finishing this climb, the trail is gradually climbs up. 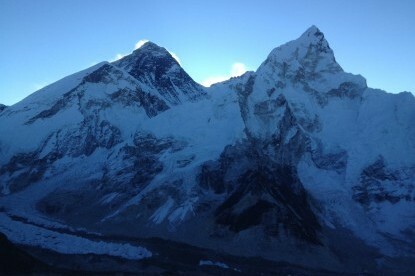 Everest finally shows itself. 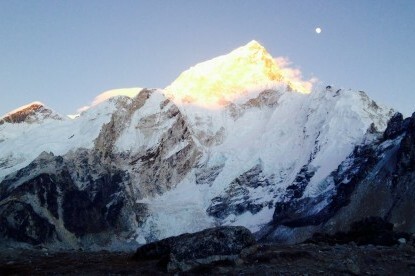 The rocky ridge to the right side with prayer flags is the true summit of Kalapatthar(5545m). The view from the top is splendid enough to forget all your difficulties. Long awaited Mt. 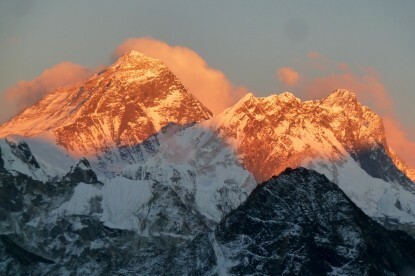 Everest(the world’s highest peak) including Lhotse, Nuptse,Amadablam, Pumori, Kangtega, Thamserku, Cholatse, Tawache and many other peaks at 360 degree panorama. 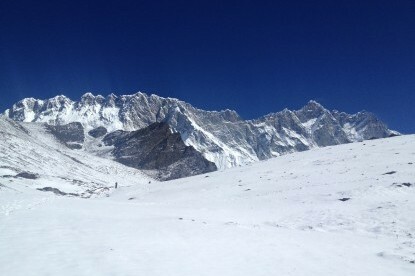 Easy walk back to Gorakshep, eat breakfast and finishing packing, then continue trek down to Lobuche.Overnight stay in Lodge at Lobuche. Day 15 Lobuche to Chhukung(4730m) over Kongma La pass(5535m) 7-8 hrs walking. Today, it is a long walking day over the Kongma La pass. 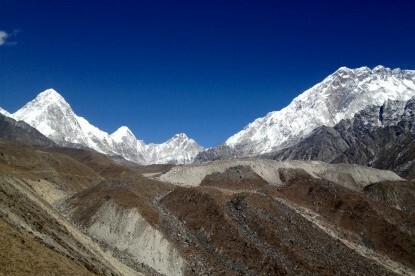 After lobuche the trail cross the Khumbu glacier and the you climb steep rocky section until reaching to the top. 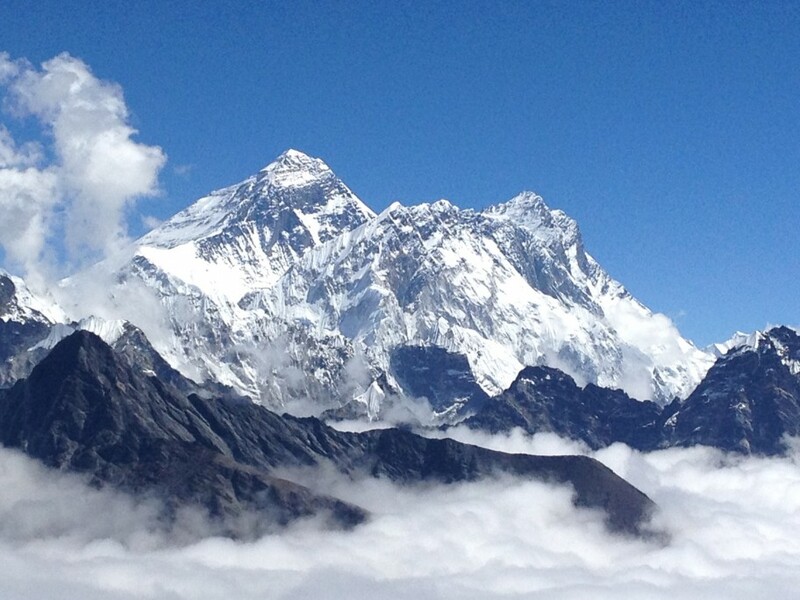 The views from Kongma la pass is brilliant as you will get wide range of mountain views of Khumbu valley. 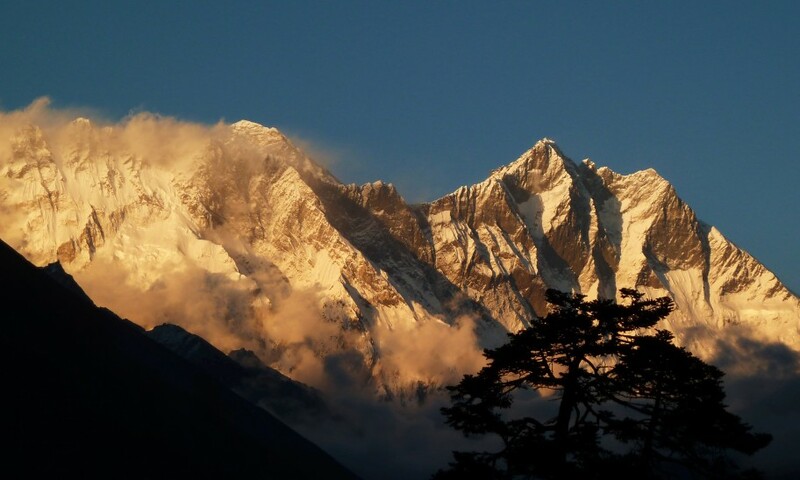 Descend from the rocky parts, walk to the meadows and grassy slope trails that will lead you to Chhukung.Overnight in Lodge at Chhukung. 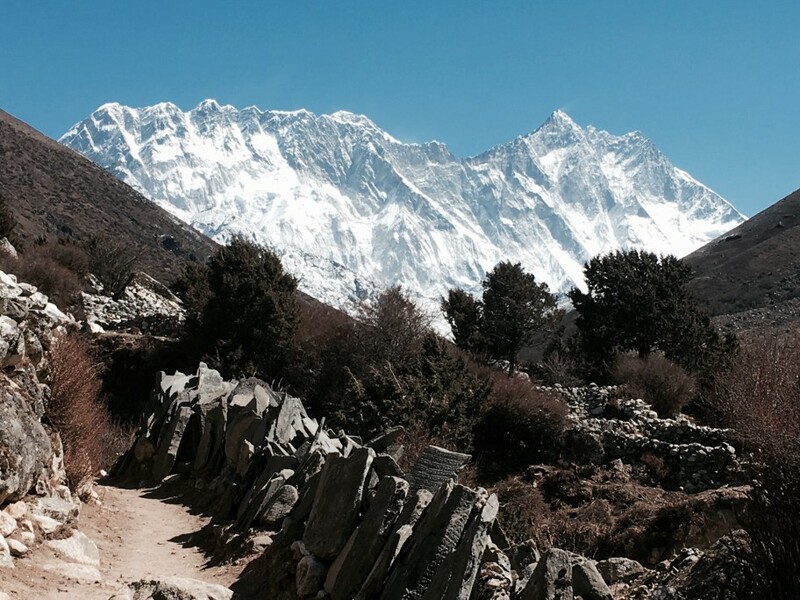 Steady walk from Chhukung village to the Chhukung Ri as you will get the incredible view of Nuptse and Lhotse wall. 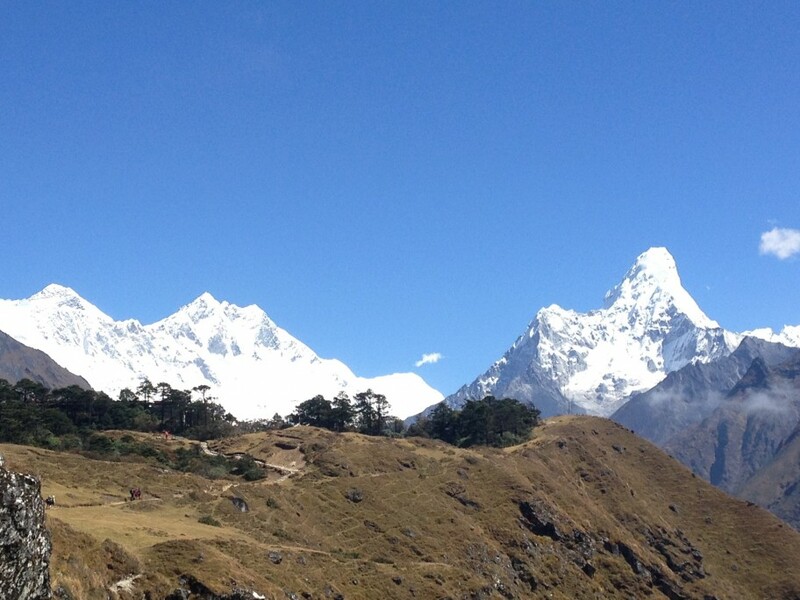 Also you will get amazing view of Makalu and north face of Amadablam.Overnight in Lodge at Chhukung. 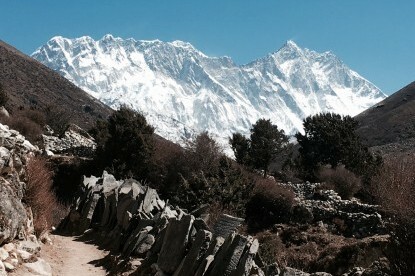 Today the walking gets easier as the trail that you will passing through Dingboche and the small Sherpa villages of Somare and Pangboche. Afternoon visit in to the Tengboche Monastery.You can participate on Meditation.This is very quite and nice place to spent a night. 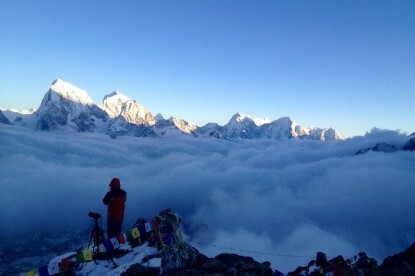 Overnight in Lodge at Tengboche. 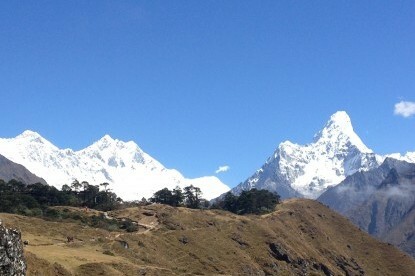 Day 18 Tengboche to Namche Bazzar(3450m) 4-5 hrs walking. 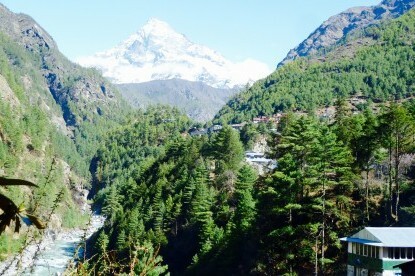 The trail drops down the valley to Phunki Tenga. 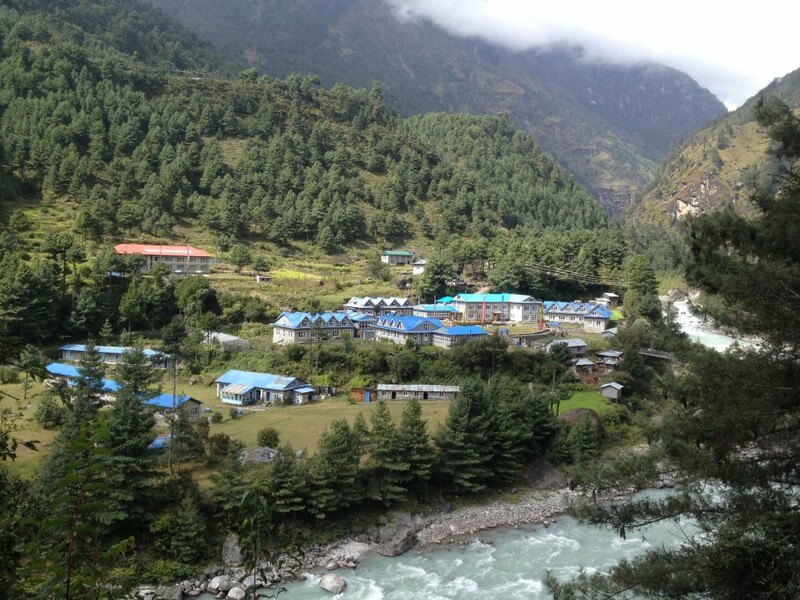 After crossing the bridge over the Dudhkoshi River, the trail climbs back all the way to Sanasa. 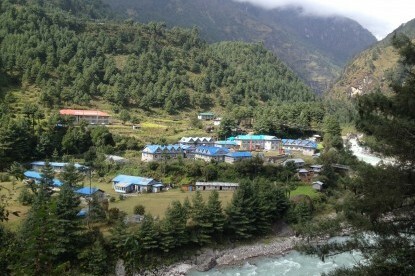 Now it gets more flat from here until reaching to Namche bazaar.Overnight in Lodge at Namche bazaar. 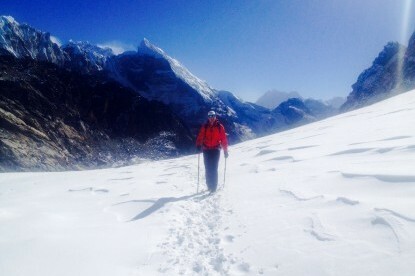 Day 19 Namche Bazzar to Lukla(2810m) 6-7 hrs walking.